The Red Tiger is an interesting addition to Montreal’s Gay Village. This Vietnamese Pub is adding a little needed diversity to an area of the city that should be doing so much better. Featuring an excellent menu of cocktails and some fantastic Vietnamese food, Le Red Tiger is the latest in a new generation of restaurants aiming to bring some fresh blood into the Village. 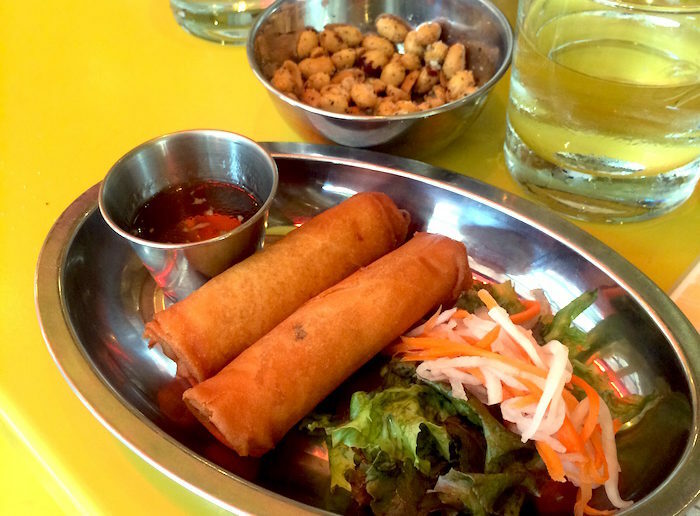 Seated at the corner of de Maisonneuve Blvd and Montcalm Street (one street west of Beaudry) the restaurant offers a modern take on traditional Vietnamese street food. During our visit we kicked things off with a helping of spicy fried peanuts and a couple of house cocktails. Our waiter/bartender was engaging, friendly and very knowledgeable. This is why I love being seated at the bar in restaurants. It adds a very different facet to a casual night out. For cocktails we went with the Me Love You Long Time (Mezcal, watermelon cubes, Thai basil, ginger-vanilla syrup, lime and soda) and their variation of an Old Fashioned (Glenmorangie, schizandra syrup, angastorura bitters and orange zest). 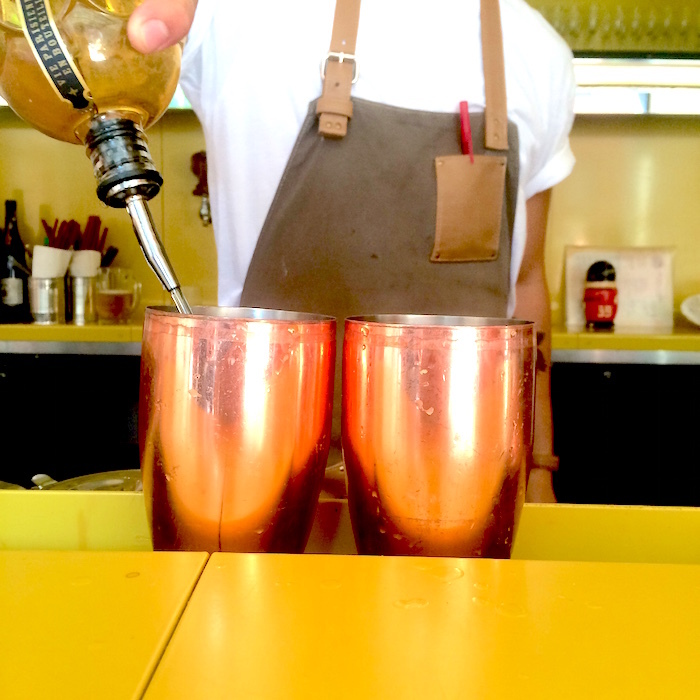 Both cocktails were fresh and carefully walked the line with traditional yet exotic flavours. Moving onto more food, my friend and I chose several dishes from the menu to share. Again, the informality here wins as we get to sample a little more than just our own plate. It’s common practice in the restaurant to approach meals this way. I thoroughly enjoy the concept. We ordered the chicken imperial rolls, the pork sausage spring rolls, chicken brochettes, shrimp banhs with coconut milk and last but not least some chicken wings. From what we ordered the banhs and the spring rolls really stood out. The flavours of the shrimp blended perfectly with the coconut milk. The pork sausage spring rolls were deliciously spicy and crunchy. The chicken brochettes were good but the peanut sauce helped them stand out. 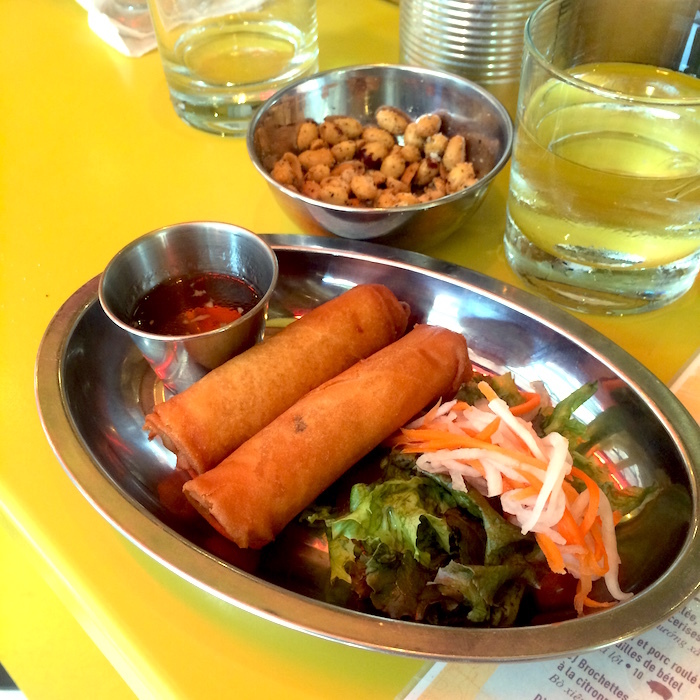 The imperial rolls were underwhelming and we found the wings to be a little dry but overall we were pleased with our first experience at Le Red Tiger. We finished our meal off with a couple of pints (Molson has provided Le Red Tiger with their very own beer but under advisement we were told to avoid it), satisfied with our choice of restaurant. The décor at Le Red Tiger is wonderfully bright and airy. A large garage door on Montcalm takes a full wall out of the restaurant, turning the space into an indoor/outdoor terrasse. The space is designed for communal eating and drinking but there are a couple of intimate corners for those which to enjoy their meal a little more quietly. 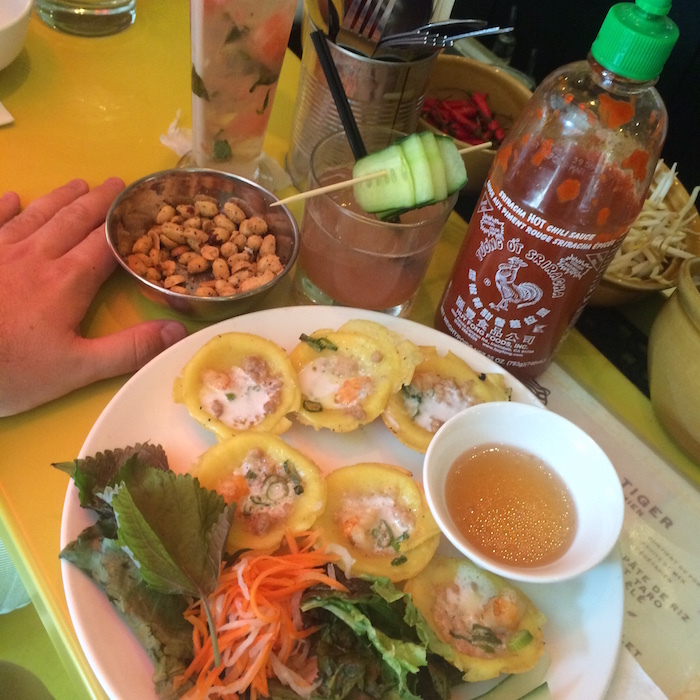 Le Red Tiger Vietnamese Pub is a healthy and necessary addition to the Gay Village. It’s one of the new bright lights that are breathing new life into the neighbourhood. Having restaurants like Le Red Tiger operate successfully proves that there’s room for innovation and simplicity amongst the monotony that currently takes up too much space in the area. We are looking forward to seeing more from these guys.